Twins account for about one in 100 births around the world. Of that number, many are fraternal twins, which are born from two different eggs. But even if fraternal twins can inherit different genes, they usually still look quite similar to each other. 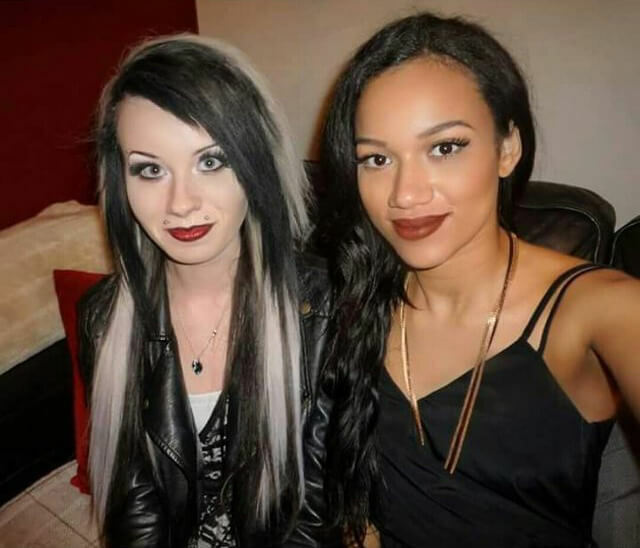 This can’t be said of bi-racial twins Lucy and Maria Aylmer. 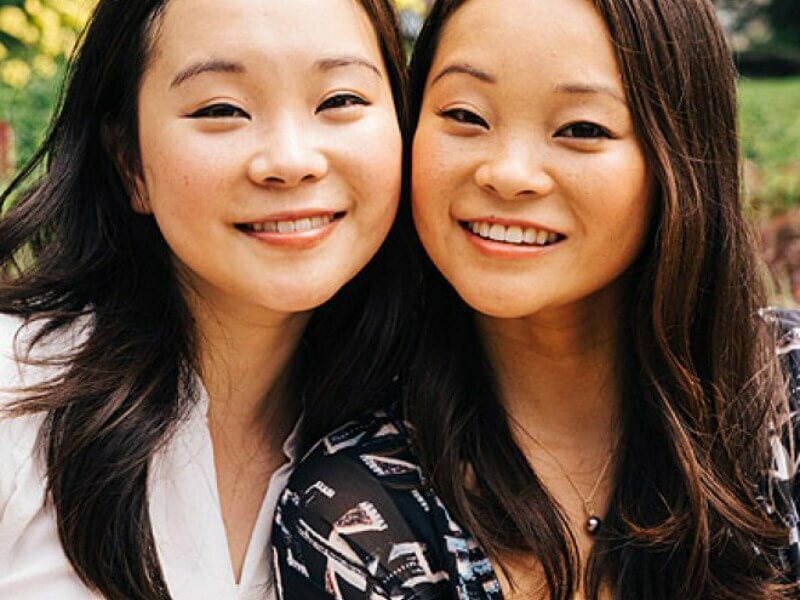 No one believes that these women are twins, but they and others like them are here to show you that while it’s rare, it’s possible! When you see what they look like now, you’ll think they’re complete strangers to each other! Donna Douglas of Gloucester, England was shocked when she found out she was having twins in 1996. At the time, Douglas and her then-husband Vince Aylmer were already a family of five, with two boys and one girl. Their sons were five and three years old, while their daughter was four. It can be pretty tough raising three young kids who are only a year apart. You can imagine that the stakes felt high for Donna and Vince, but having raised three babies already might have made having twins seem less daunting. Despite everything they did to prepare for the twins’ arrival, Donna and Vince were in for something completely unexpected. On January 16, 1997, Donna gave birth to two beautiful, healthy baby girls, but she was speechless when she held them for the first time. The midwife handed Donna two babies who hardly looked like each other. One of the babies had a very fair complexion, while the other had a darker complexion. It was confusing, especially since Donna was certain she had just given birth to one baby after the other. But it was as if she was given two babies from two different families. After leaving the hospital, the twins’ physical differences became more apparent. Everyone might have thought that the newborns would eventually start to look like each other, but the differences were too striking. Lucy’s fair complexion gave way to red hair and crystal-clear blue eyes. On the other hand, Maria’s caramel skin tone was complemented with sparkling brown eyes and thick, curly brown hair. “It was such a shock for her because things like skin color don’t show up on scans before birth. So she had no idea that we were so different.” Lucy told Daily Mail. Wait until you see what they look like now! Donna dressed Lucy and Maria in matching outfits when they were children, as any parents of twins would be inclined to do. But the outfits did little to convince others that the girls were twins. People refused to believe that Lucy and Maria were twins, let alone sisters or even cousins. They looked too unique from each other and the rest of their siblings, whose skin tones are lighter than Maria’s but darker than Lucy’s. 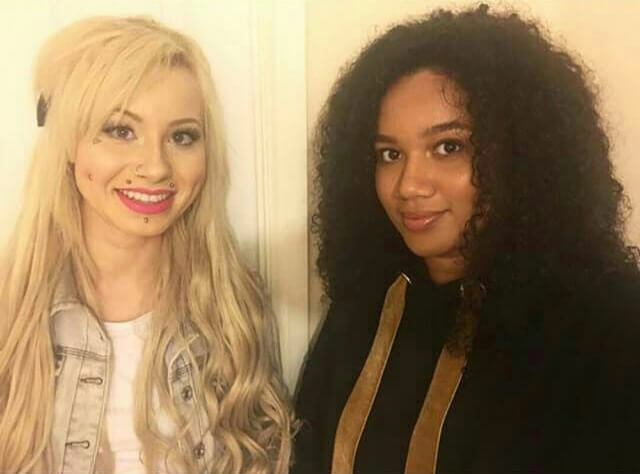 “Me and Maria are like opposite ends of the spectrum, but their skin tones are like, similar to each other,” Lucy said on Good Morning Britain. Maria and Lucy may have grown up as twins, but they never really felt like twins. By the time they were seven years old, however, they told their mother that they no longer wanted to dress alike. “We don’t look alike, so why should we have to wear the exact same thing?” Lucy said on Inside Edition. After Donna started letting Lucy and Maria dress differently, they probably started gaining a sense of who they were as individuals. After all, at ten years old children begin to cultivate their own styles and interests if it’s something they care about. Maria and Lucy’s differing looks can be partly explained by their heritage. 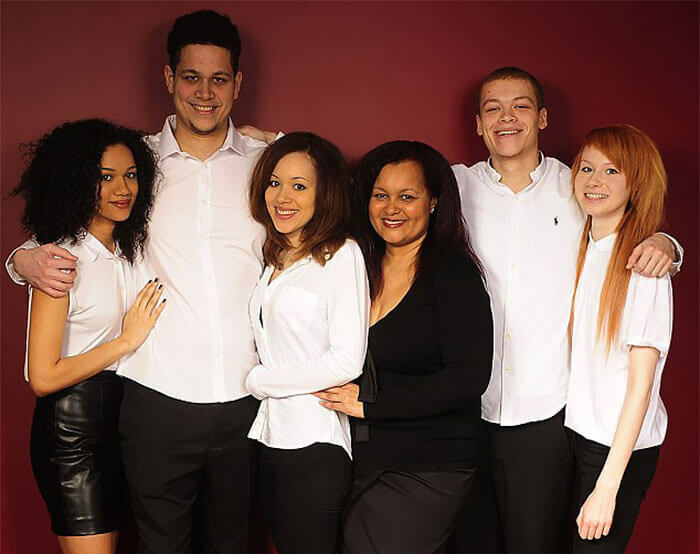 While their father Vince is fully Caucasian, their mother Donna is half-Jamaican and half-white. Lucy and Maria are fraternal twins, which means that they came from two separate eggs and inherited different genes. Since Donna is half-Jamaican, she carries genes for white and black skin. 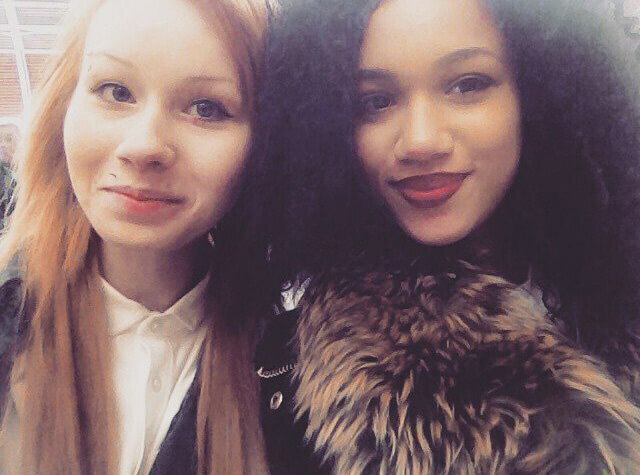 Still, having twins with two different skin tones is rare. Maria and Lucy’s genetic makeup could have gone any number of ways, but to end up on “different ends of the spectrum” was one in a million. You’ll soon see that their differences don’t end with their looks! Growing up, Lucy and Maria didn’t share many of the same experiences other twins did. They obviously couldn’t get away with pretending to be each other, and they often faced serious criticism from their peers. Lucy, who looked the most different from the rest of her family, was often made fun of in school. “[Other kids] thought I was adopted… called me a ghost,” Lucy told Inside Edition. The girls even had friends who forced them to show their birth certificates to prove they weren’t lying about being twins. “We’re completely different,” the girls both told Inside Edition. You’d think that even though they look different, the twins would at least share personality traits. But that’s actually not the case. The twins have told the media that they prefer to be different from each other. Since they’ve stopped dressing in matching clothes, the difference between the Aylmer twins became more apparent. This was especially obvious as they entered adulthood. Lucy wears her red hair completely straight and prefers casual, edgy clothing. Maria likes to dress in more girly ensembles. The twins say that Lucy is definitely the introverted one, while Maria is more outgoing. Their personalities have been polar opposites since they were children, which is not out of the question for twins. But for Lucy and Maria to look different and have contrasting personalities, it’s as if they aren’t even related. They may have differing personalities, but they also have a special “twin” ability. “I love meeting people; like I’m not scared to approach people or anything,” Maria told Inside Edition. “Whereas I am. I’m terrified of like, going up to random strangers,” Lucy added. Lucy and Maria’s contrasting personalities have certainly set them on two different paths later in life. Lucy chose to study art and design at Gloucester College. Maria left the nest to study law at Cheltenham College, which is about a half an hour away. 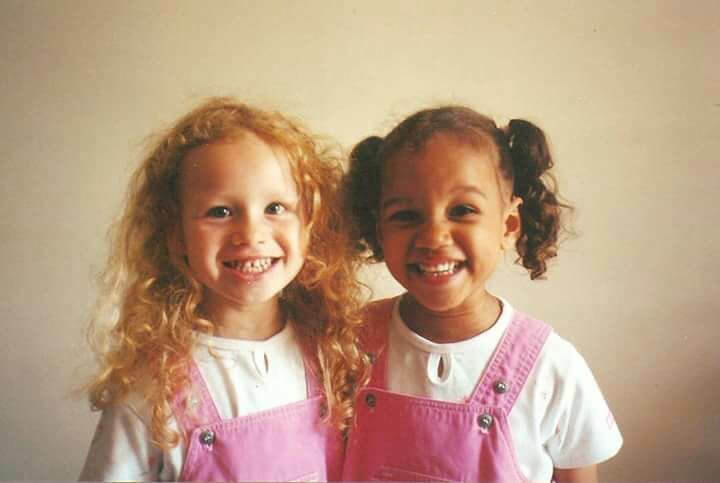 “Maria loves telling people at college that she has a white twin – and I’m very proud of having a black twin,” Lucy told Daily Mail. Maria and Lucy have admitted that growing up, they weren’t too close. If anything, they sometimes felt like they were worlds apart, always wishing for something the other had. Maria told Inside Edition that she would cry because she wished her hair was straight like both of her sisters. Lucy probably went through emotional turmoil when peers ostracized her from her own family. Their differences might have taken a toll on them as sisters, but the twins say that as they’ve grown older they’ve said they grew close. They’ve learned to embrace their differences and now, they’re even best friends. People who are twins often report feeling a sixth sense between themselves. When something is wrong with one twin, the other can sense it as if they were psychic. But this isn’t the case for Lucy and Maria, who say they don’t experience anything like that. “We’ve had the odd couple of moments of like, we get the same pains, and she’s like ‘Oh that’s weird, I have that pain too,'” Maria said on Good Morning Britain. They may not share the same thoughts, but maybe there’s something to be said of the fact that they can literally feel each other’s pain. Lucy and Maria aren’t the only ones of their kind as you’ll soon see! If you look past their obvious differences, you start some similarities between Maria and Lucy. If you look real close, they have a similar facial structure. But apart from the differing hair, eyes, and skin, Lucy and Maria are still twins at the end of the day. They may not even have similar personality traits, but they still shared the same womb for nine months. Even though they weren’t close growing up because of their differences, they still became the best of friends as adults. The Aylmer twins will always have each others’ back. Even though Maria and Lucy don’t feel like most twins do because of their differences, they still can’t deny the special connection they share as sisters. “I honestly don’t know what I’d do or how I would’ve coped if I didn’t have my twin, she’s one of the main things keeping me going and keeping me here… She’s been there for me through out everything… I couldn’t ask for a more caring and beautiful twin sister,” Lucy writes of Maria on her Instagram account. The Aylmer twins’ case may be rare, but they’re not the only ones out there as you’re about to see next! 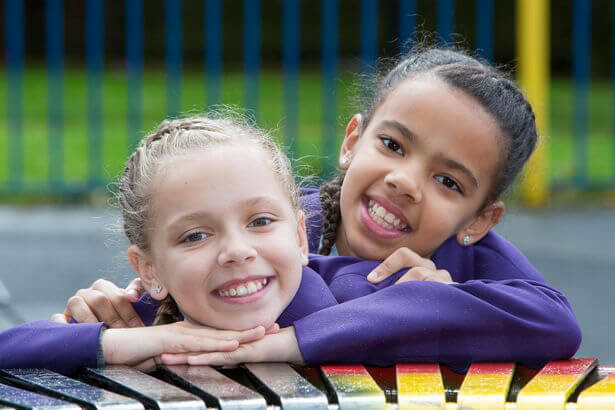 11-year-old twins Millie and Marcia Biggs of Birmingham, England are also turning heads. They were born just like the Aylmer sisters, with one twin bearing pale skin and the other bearing a darker skin tone. The only difference is that Marcia has blonde hair and not red. The Biggs twins grace the cover of National Geographic’s April 2018 issue, dubbed “The Race Issue.” The twins’ parents Amanda Wanklin and Michael Biggs say the girls have surprisingly never faced and incredulous remarks. 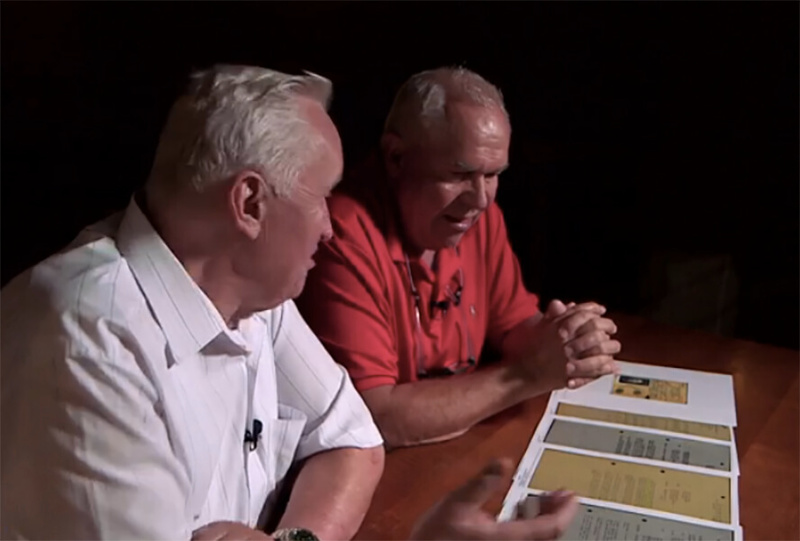 “As time went on, people just saw the beauty in them,” Wanklin tells National Geographic. These twins and others are used as examples of acceptance. For the Biggs twins, the difference in their appearances wasn’t immediately obvious. 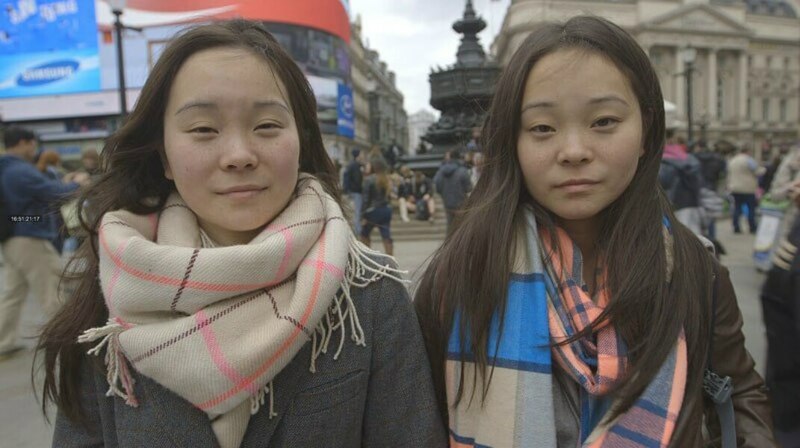 This led their parents to believe they are identical twins. “The change happened with Millie first. She went darker and darker,” their father, Michael Biggs, tells ABC News. Biggs says the girls are happy to be who they are and that “they just don’t see things in black and white.” Millie tells ABC News, “I prefer to be different. You don’t always have to blend in the crowd because if you do you won’t get noticed. It’s better to be you.” This next family hopes that their twins will teach a lesson about racism, too. 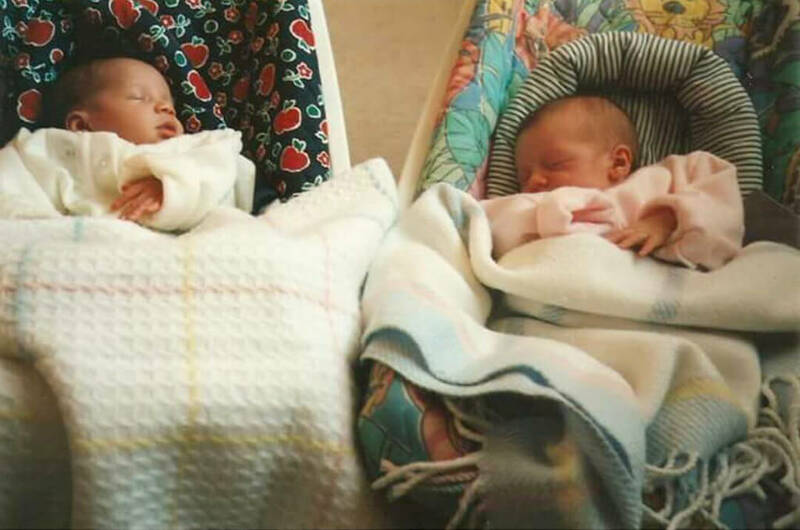 “At first when they were born, I wanted to believe it but it’s so rare I didn’t think it’d happen to my twins! 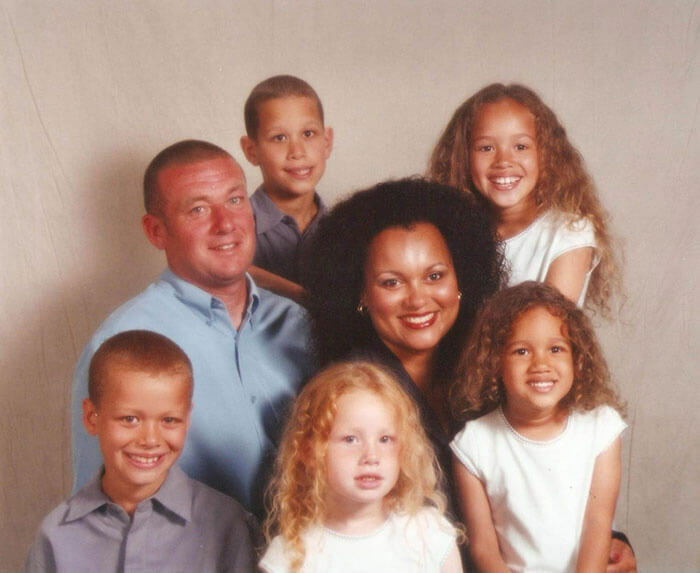 But sure enough, they’re biracial twins!” Meyers told local Illinois news station KHQA. In January 2017, Kalani and Jarani Dean of Quincy, Illinois became Internet sensations after their mother, Whitney Meyer, shared photos of them on Facebook. Meyers is Caucasian while the twins’ father, Tomas Dean, is African American. 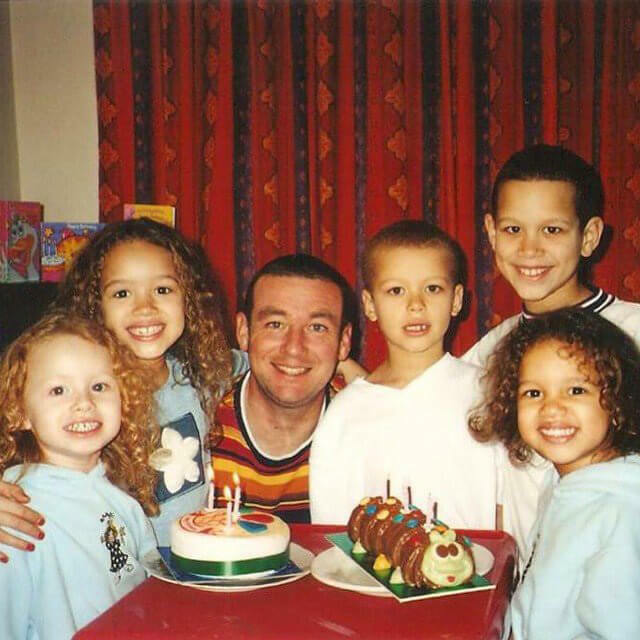 According to the BBC, there is a one in 500 chance of biracial twins being born with different skin tones. 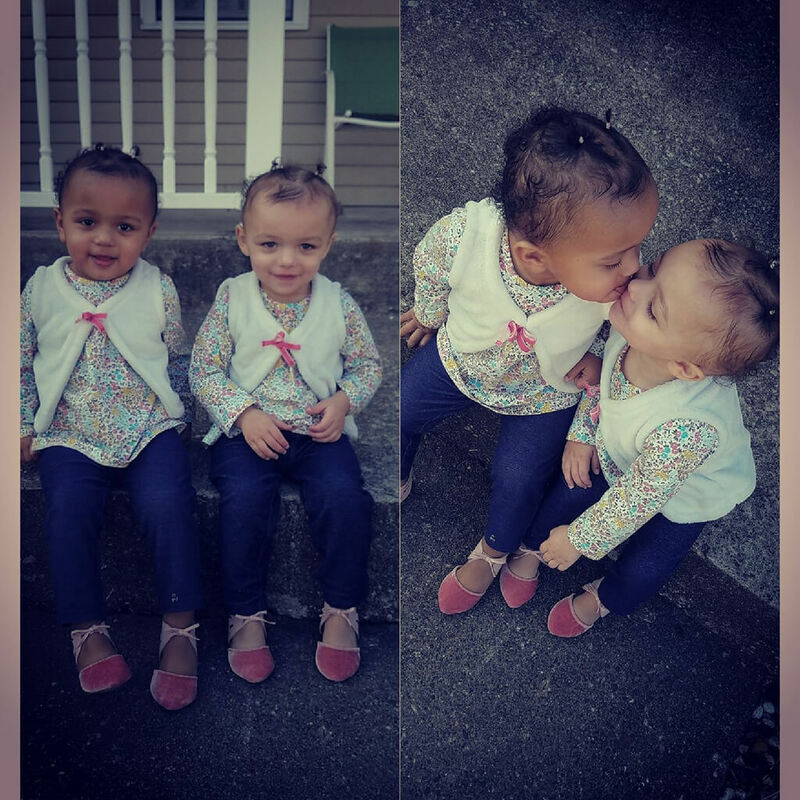 Like the previous twins we’ve seen, Kalani and Jarani also have contrasting personalities. “If you give Jay a banana, she’d rather have that than bounce a ball. Kalani would rather bounce a ball with her dad than have a banana. Their personalities are so different,” Meyers told ABC News. She also added, “They’re my miracle girls. It has nothing to do with their color. I lost a child and a year-and-a-half later, I gained twins. I just wanted to share it and it’s been crazy ever since.” Meyers was blessed to have her twins since she lost a son in a drowning accident almost two years earlier. Meyers also has an older son, Talan, who has a different father. She says that Talan, who is Caucasian, doesn’t see a difference in his baby sisters and is colorblind, therefore too young to understand the concept of race. “People in this country could learn a lot from my son. He’s so innocent, he doesn’t understand racial tensions, because to him it doesn’t matter, as it shouldn’t matter to anyone else… It’s heartwarming, the response I’ve gotten to my biracial twins. It restores my faith in humanity, at a time when I, when this country, really needs it,” Meyers told People. 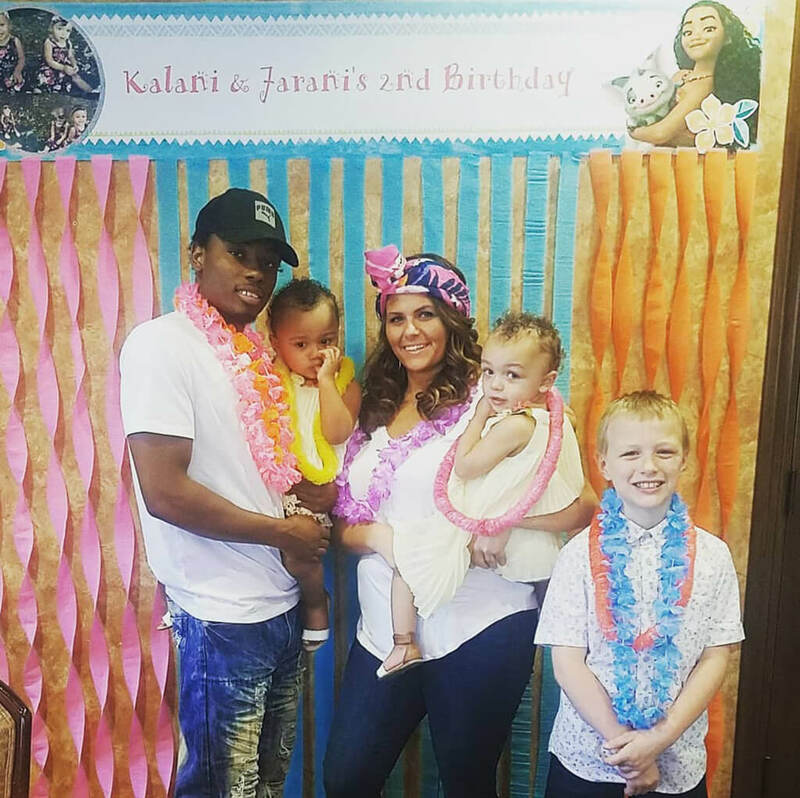 Kalani and Jarani have a unique story. Another pair of twins named Gracie and Audrey have a story of their own. 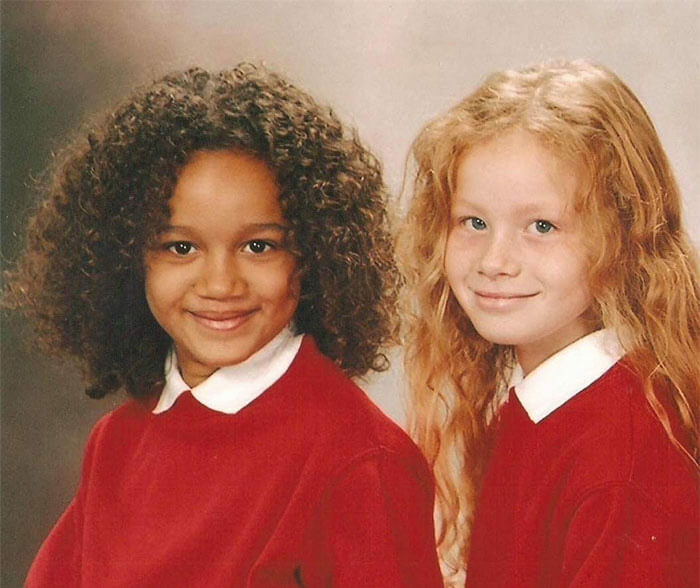 These young girls, separated by adoption, didn’t even know about each other until they were 10-years-old. 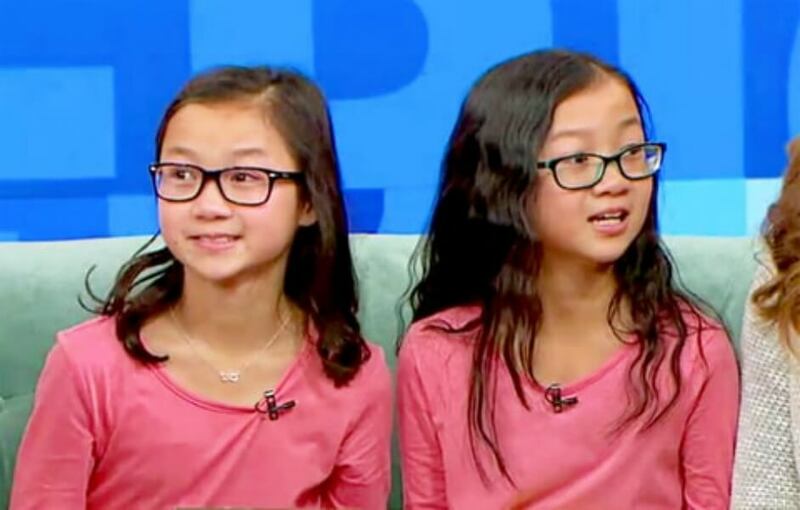 Gracie and Audrey were born in China, and are ten-year-old identical twins. Their names hold a beautiful puzzle: Gracie’s Chinese name is Tong Min Mei, while Audrey’s is Tong Min Gui. When you join these names together, they mean “rose.” A secret bond for two girls who didn’t know the other existed. Sibling connection is powerful and important, but sometimes when a child is adopted at birth, they have siblings they don’t know exist, siblings they might not ever meet. 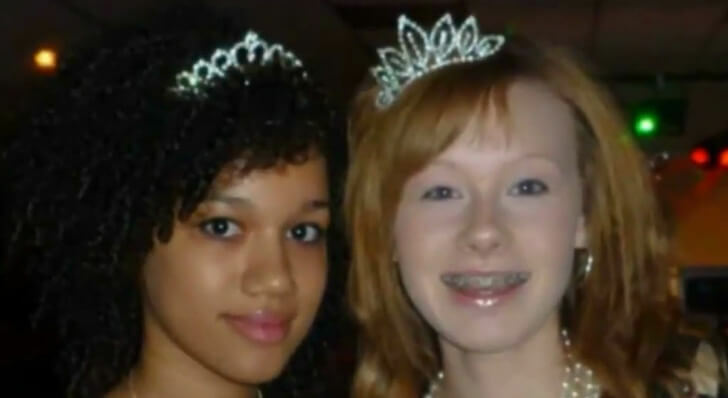 In the story of these two girls, (and a few others) fate seemed to bring them together. Grace and Audrey were put up for adoption in China in 2007 when they were one-year-olds. They can be seen in the above “finding ad” which is the traditional Chinese ad put in newspapers after a baby is put into an orphanage. This is how prospective parents can see the baby or child, and seek out information on adoption. 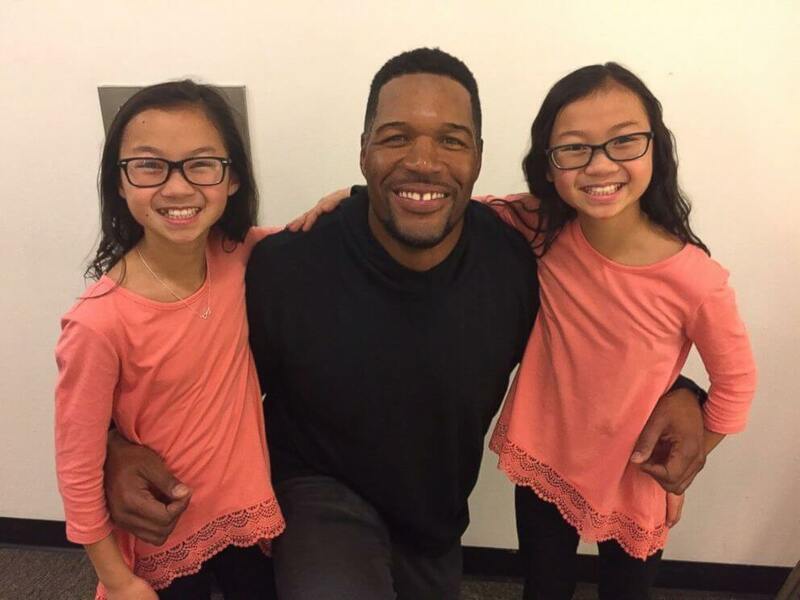 By the end of the summer of 2007, both of the adorable twins had been adopted by new parents and were no longer in the orphanage or even living in China anymore. But what happened to the girls: did the adoptive parents even know that their adopted baby girl had an identical twin? It might have been because both girls had rare heart conditions and needed specific medical attention that they were separated and adopted into different families in the summer of 2007. It is also much more difficult to adopt out twins, so that likely was an important factor as well. 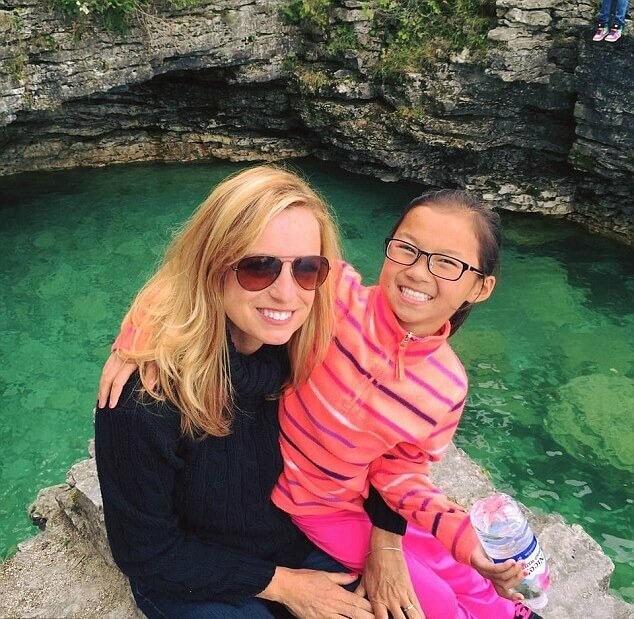 Jennifer Doering and her husband had adopted baby Audrey from China and brought her home to Wisconsin, United States. Doering wanted to give Audrey her adoptive ad as a gift, and so began researching online to find the ad. During this research, Doering came across a photo of Audrey on the lap of a foster mother: with another identical baby also on her lap. “As soon as I had that picture, I was desperate to find out who that other child was,” said Jennifer Doering. She and her husband began researching to find out everything they could about the other little girl in the photo. They finally found gold: Audrey’s sister had a birthday that was estimated to be close her own. The family also found that the other girl next to Audrey, the one with her exact same features, had the same congenital heart condition as Audrey. In addition, the other little girl had also been adopted by a family living in Washington State: the Rainsberrys. They decided to reach out to the Rainsberrys. Audrey told the station, “I did not even know I had a sister at all.” What would be the next step? The girls’ parents did a lot of talking. Nicole Rainsberry, Gracie’s mother, works as a para-educator and lives in Washington with her husband and four children (Gracie has three older siblings) told USA Today her first reaction was some fear. 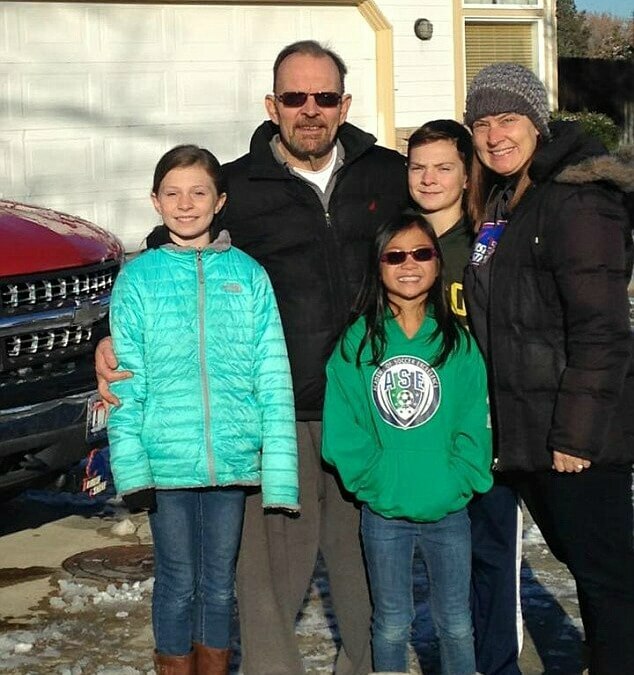 They didn’t know the Doering family, what kind of people they might be, and they didn’t have an understanding of why the girls had been separated during their adoption. 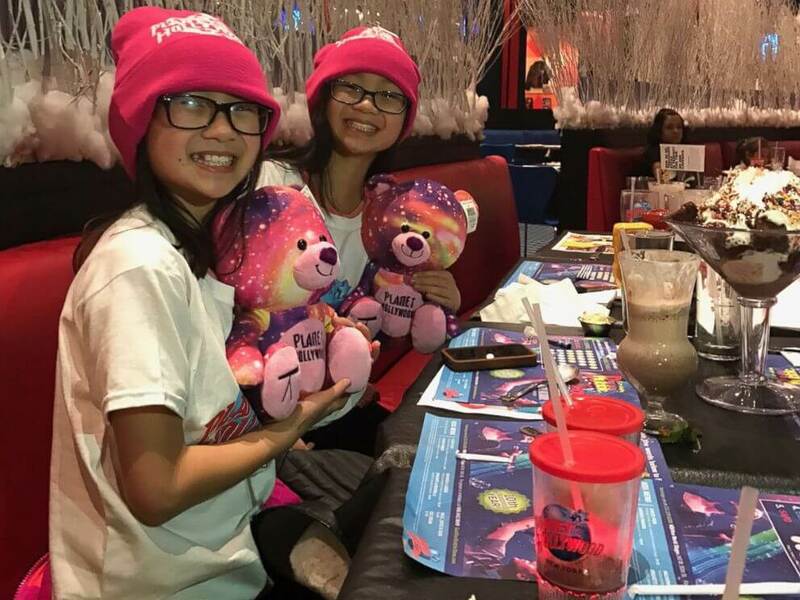 It turned out the girls had different birthday dates: Gracie’s is April 23 and Audrey’s is April 28; the foster mother might not have even known were twins before they were adopted. 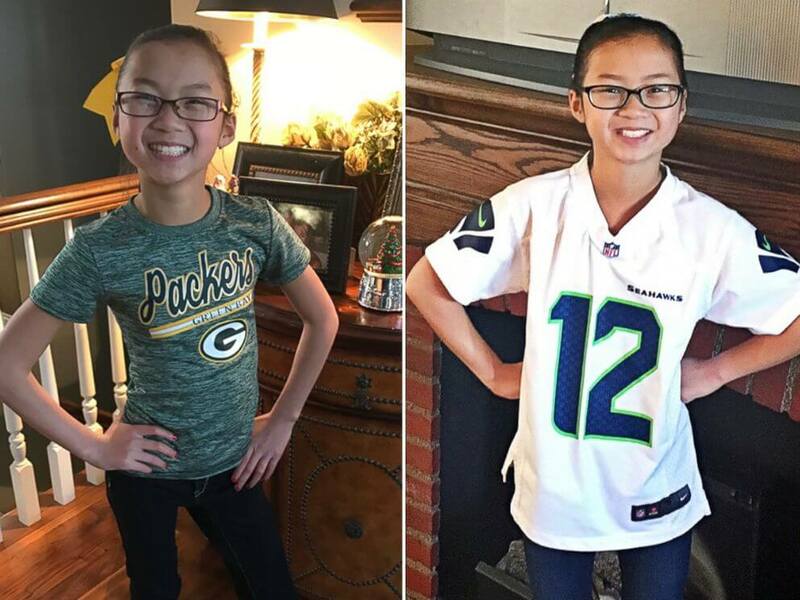 “Essentially from, between Monday and Wednesday, we were able to locate the Rainsberrys,” said Jennifer Doering, Audrey’s mother, to KNDO-TV. “And by Friday, everybody kind of knew.” “I was very overwhelmed and I started to cry,” Gracie said. They were reunited for the first time on a Friday during a FaceTime talk. “Then I started to talk to her, and ask questions,” Audrey told USA Today. “It’s like talking to me. She likes mac and cheese like me. She has the same type of glasses as me, except mine are actually broken and hers are teal and mine are pink.” Both girls also have three older siblings and name math as their favorite subject in school. Dr. Nancy Segal is a psychologist who studies twins, and she did a DNA test that confirmed Gracie and Audrey were identical twins with 100 percent certainty. 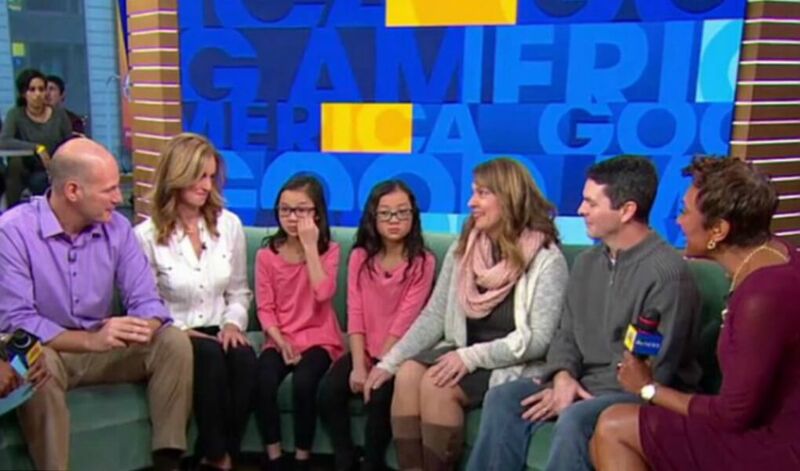 In January 2017, the big day finally arrived: Audrey and Gracie were to meet in person for the first time, on the popular daytime show Good Morning America. Both wore matching pink tops and black-rimmed glasses and as they crossed the stage to meet each other, they began crying. The girls embraced in a big hug and sobbed as they clung to each other. Their parents helped them to calm down a little bit and take their seat next to each other on the show’s couches. The host of Good Morning America, Robin Roberts, asked how they felt on seeing each other again. Audrey was able to get out that she felt “excited” and “happy,” before concluding, “it’s very overwhelming.” Good Morning America host Ginger Zee tweeted out: “EVERYONE IS CRYING IN THE STUDIO,” during the reunion. 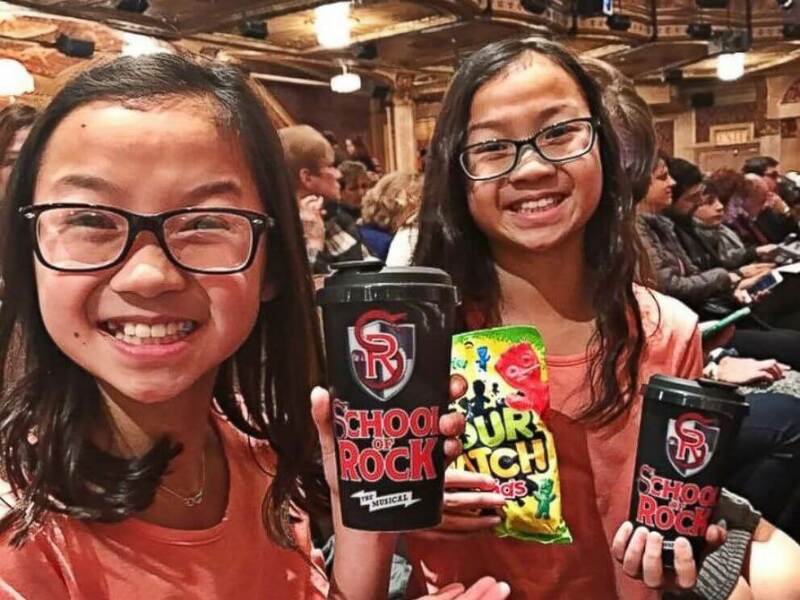 The girls were gifted with tickets to School of Rock on Broadway and a dinner at Planet Hollywood, all for their time in New York City as sisters. The families were also given tickets by Expedia.com so the twins could again spend time together when they returned to their respective homes. Immediately after their appearance on GMA, the identical twin girls went out to eat pancakes, and both noticed that each other made messes with their food, getting chocolate on their faces. They giggled and beamed with huge smiles as they enjoyed their morning together. The parents of the children were there with them for their GMA meeting and their first big day together in New York. This was an emotional, incredible day for them, too. At one point during the meeting, Audrey’s mother reached toward Gracie’s face, asking “Can I just touch you?” Gracie shyly nodded in reply, getting to know a whole other family. At the end of their Good Morning America interview, the girls were asked what was in their hearts. Both Gracie and Audrey replied together, “Love.” Jennifer Doering told the Journal Sentinel that they still receive occasional media requests, but have been spending their time privately while getting to know the Rainsberrys and letting Audrey get to know her sister, Gracie. 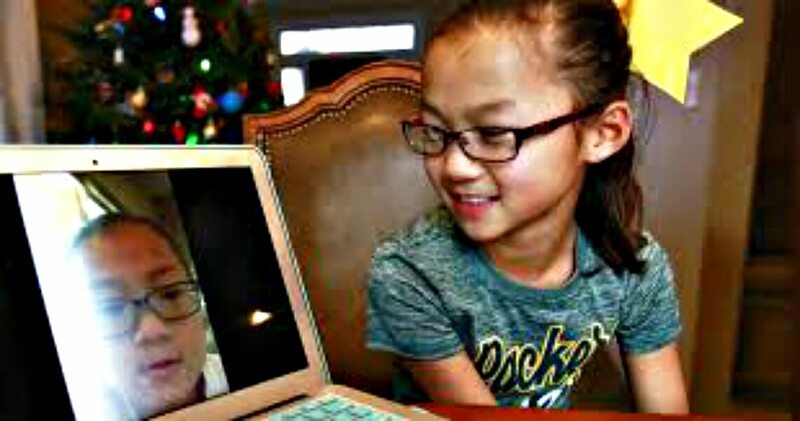 The families video chat daily, and the girls now use Snapchat as a way to connect, as well. The families had spent three and a half days together in New York, letting not only Audrey and Gracie getting to know each other but the families. They would now be a part of each other’s lives forever. Dr. Segal will send a researcher who will complete 24 hours or more of testing with Gracie and Audrey, focusing on each twin’s behaviors. Each twin’s family will also fill out a booklet each time the girls meet for the next 12 of their visits, tracking behaviors and emotions. 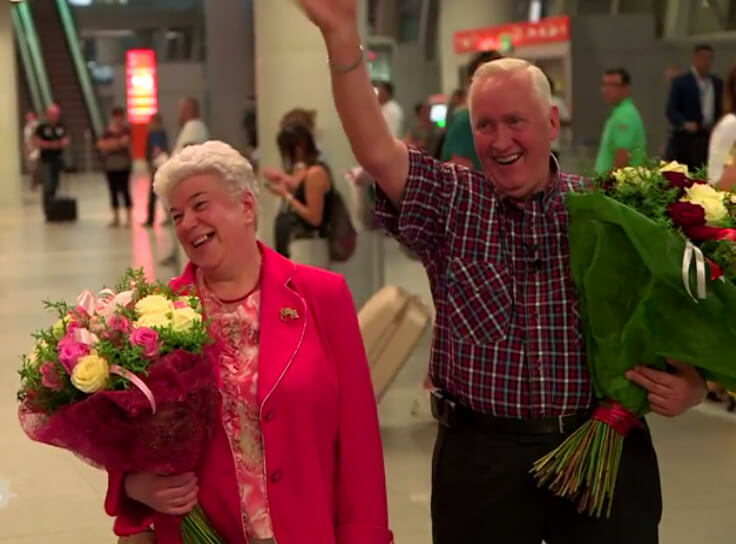 The story of their reuniting is over, but their lives together are just beginning. 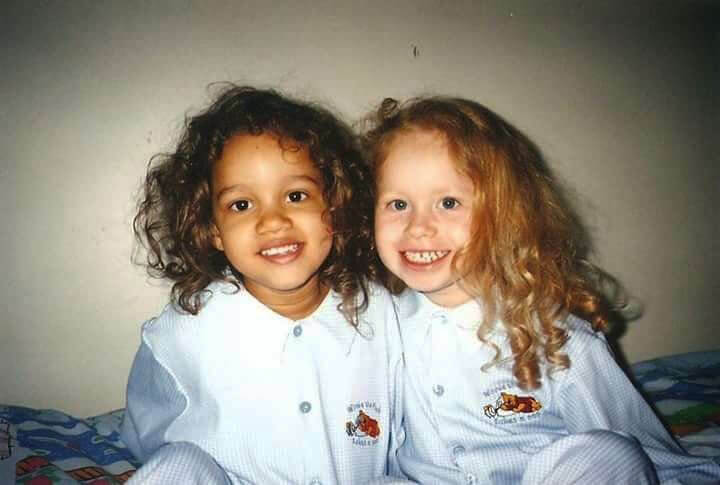 Twins who were separated at birth and raised in different families can provide an amazing resource of research for scientists looking at the “nature versus nurture” argument as well as studying DNA. 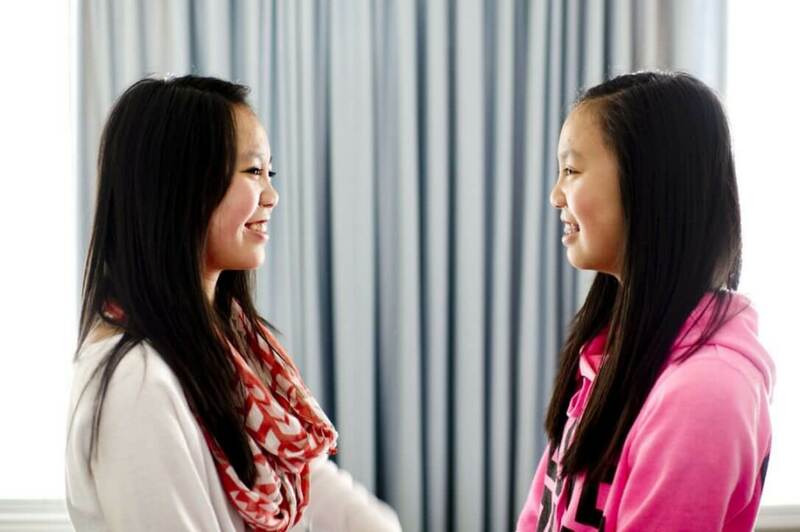 Twins Lily and Gillian were separated at birth and adopted from China, both to families in Ontario, Canada. Amazingly, the families discovered one another through an adoption group. Mia and Alexandra were both born in China were adopted at 17-months-old by two different families, after being found in a cardboard box. Both families had bought (without knowing each other at all) had bought the exact same red gingham dress for their soon to be adopted daughters. Angela and Andy Hansen flew in from Sacramento, California to adopt Mia, and Wenche and Sigmund Hauglum traveled from Fresvik, Norway, to adopt Alexandra. Fate intervened, and the families were in the same room at the same time, both holding their girls, who were both wearing the same red dress. The dress caught the attention of each family, and as they began chatting, they noticed that something else matched, too. The families agreed that the girls looked exactly alike, and parted, but stayed in contact. A year later, a DNA test confirmed their suspicions: Mia and Alexandra were twin sisters. It was difficult to come to terms with the fact that the girls lived in different parts of the globe, and their relationship would be limited. The families first flew and met when the girls were six years old. The meeting in California went well, and they were surprised to see that both girls had identical haircuts: thick long bangs and long hair. Mia’s mother, Angela, told Sheknows that there is “virtually no warm up period” when the girls see each other. It was February 2013 when Anais Bordier, living in London as a French fashion student, came across a YouTube video with the irrepressible Samantha Futerman. Samantha was an actress in Los Angeles, and Anais couldn’t help but notice that they looked exactly alike. Anais did a little digging and discovered that the girls were born on the same day in Busan, Korea and then put up for adoption. Anais then reached out to Samantha through Facebook. At this point, Samantha, the actress, began keeping documentation of all their interactions, discussions and musing over the possibilities of their relationship. This is how their movie, Twinsters, came to be. The story of reuniting long lost siblings isn’t so unusual, but what makes Twinsters unique is that the story is told ‘real time.’ Directed in part by Samantha Futerman, the story is told through YouTube videos, Snapchat, Facetime, Facebook and filmed meetings, so we follow Samantha and Anais journey to discovering each other. Samantha Futerman, born and raised in the United States, flies to England to meet Anais. 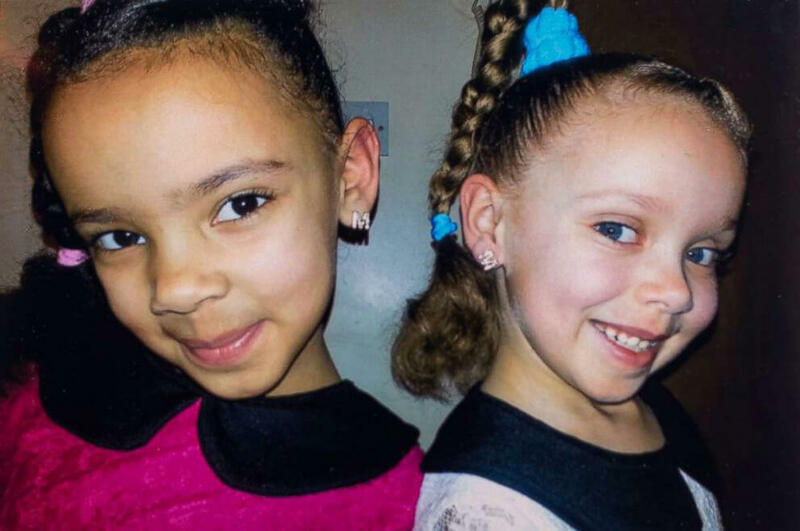 DNA testing confirms their suspicions: the girls are twin sisters. The girls struggle to cope with the geographical distance between them and wanting to be together more. Eventually, they take a trip to South Korea for a gathering of adoptees and film a reunion with the foster mothers who cared for the twins for a short time after they were born. They also film a sad search for their biological mother. Ultimately, the girls are thrilled to have found each other, and bond deeply. It’s interesting to look at adoptions where twins have been adopted together. 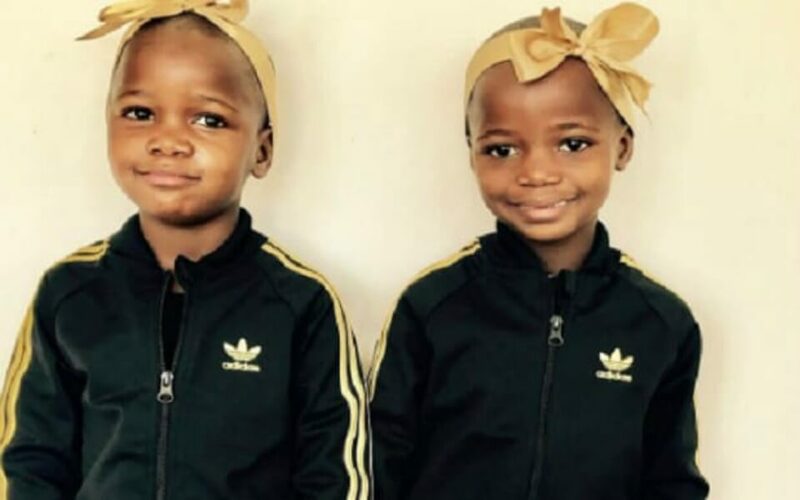 Madonna has now in 2017 adopted twin siblings named Esther and Stella. The girls are adopted from Malawi; their mother Patricia died during childbirth. 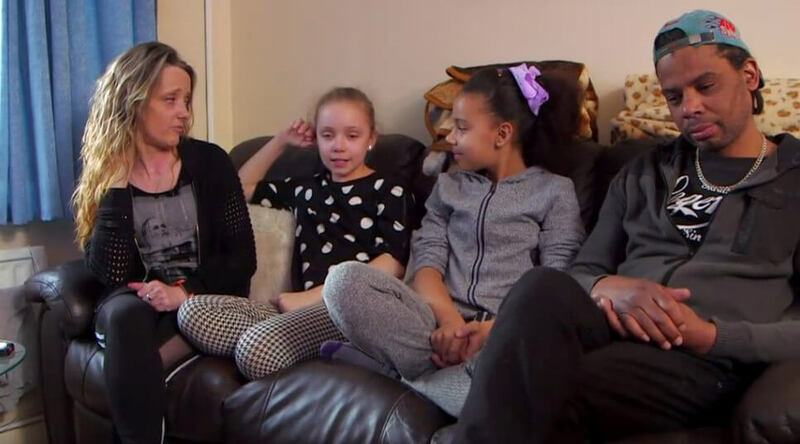 Their father Adam says he was misled about the official agreement as he thought his children would be returned to him one day after they were provided an education. Madonna also adopted David and three years later, Mercy, from Malawi. The family also includes the oldest two children, Rocco and Lourdes. Madonna was granted an adoption order by the Malawi High Court on February 7 and brought the girls to the United States to begin their new lives. Studies in behavioral genetics look at twins raised apart and together. In studies over a number of years in many different countries, researchers conclude that identical twins separated at birth and separately adopted into different families (compared with identical twins raised together by their biological parents) are none the less quite similar on a number of testing measures. These measures include ones of personality, temperament, intelligence, interests and susceptibility to physical and mental disease. Shockingly, identical twins raised apart are even more alike than fraternal twins raised together! The power of the twin is clear. Families who adopt a child as a twin and make an effort to allow the twin to form a relationship with their sibling are doing their child an incredible service for their mental and emotional health. Of course, they have to know about their child’s twin, first! 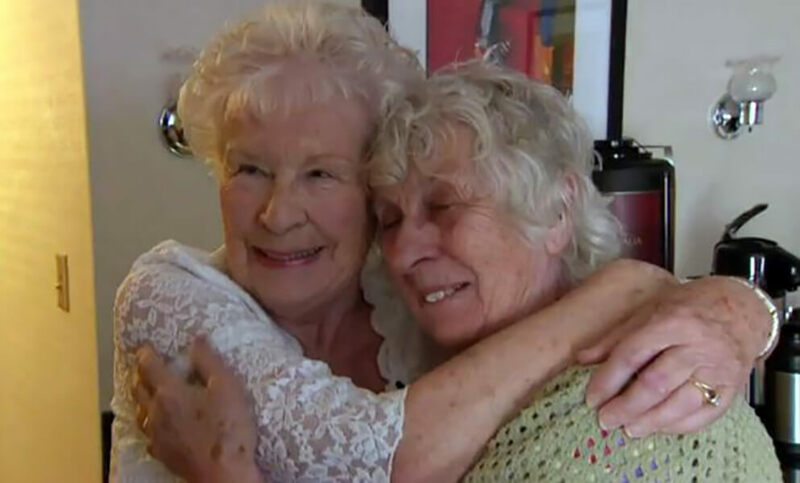 You’ve read about the power of twins, but you’ll be amazed by the twins who hold the Guinness World Record for finally being reunited 78 years after they were first separated. 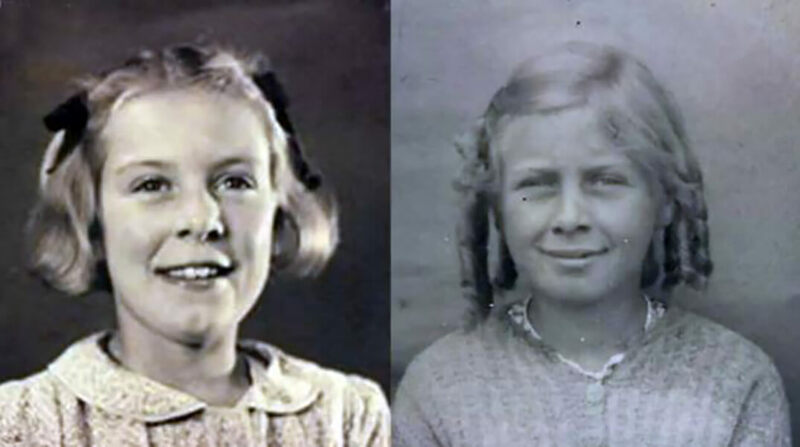 The fraternal twins, Ann Hunt (named Patricia Susan Lamb) and Elizabeth Hamel (named Elizabeth Ann Lamb), were born in Aldershot, England in 1936, but times were hard for their unmarried mother. 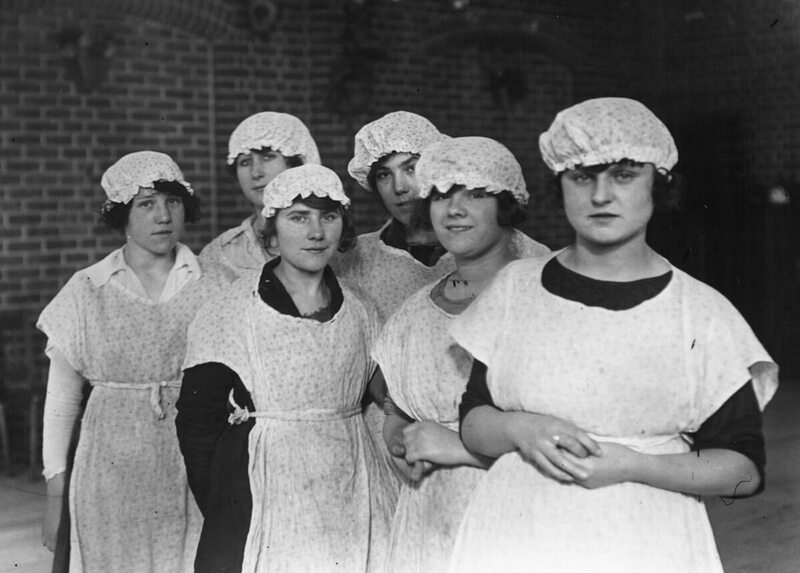 Alice Lamb was a domestic servant (a cook) without the money or support to be able to keep the two girls, so she made the difficult decision to give up one of the babies for adoption. She couldn’t possibly know what a convoluted journey the two would travel before reuniting 78 years later. 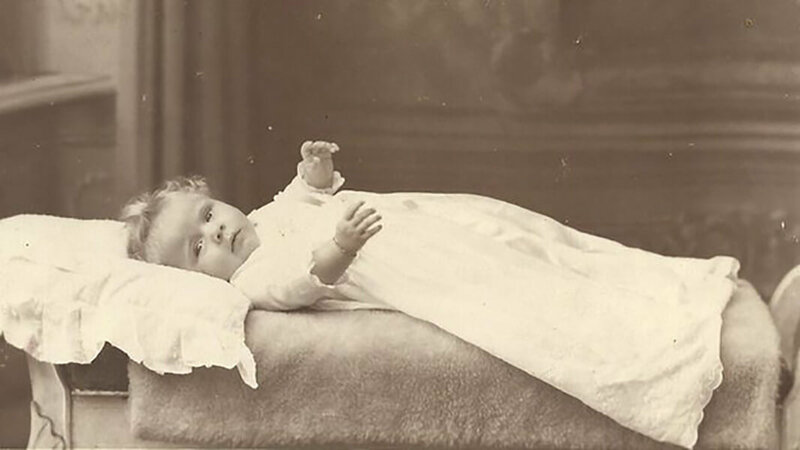 Alice Alexandra Patience Lamb gave birth to the fraternal twins in 1936. As you’ve already read, she was an unmarried domestic cook in Aldershot, England. The father was an Army soldier, stationed at Aldershot, but he didn’t stay in the picture, nor did he ever see the babies. Left alone with two babies (one of whom had a curvature of the spine) she could not afford to care for them both. So, she gave up Patricia Susan Lamb at 5-months old, and the baby was adopted and raised as an only child by Hector and Gladys Wilson. Alice kept Elizabeth because she thought the spine issue might make it more difficult for her to be adopted. As you know, Elizabeth grew up with her biological mother, Alice. 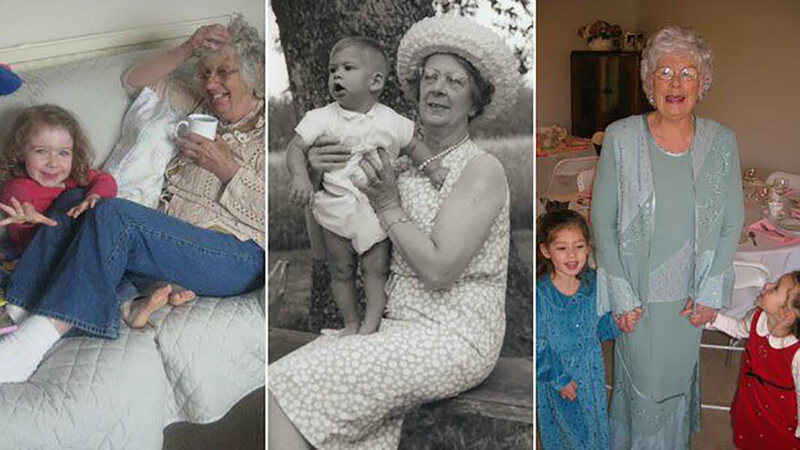 The curvature of her spine made adoption unlikely, so her mother asked for help from friends and an aunt, who gathered together to help raise Elizabeth and support Alice. 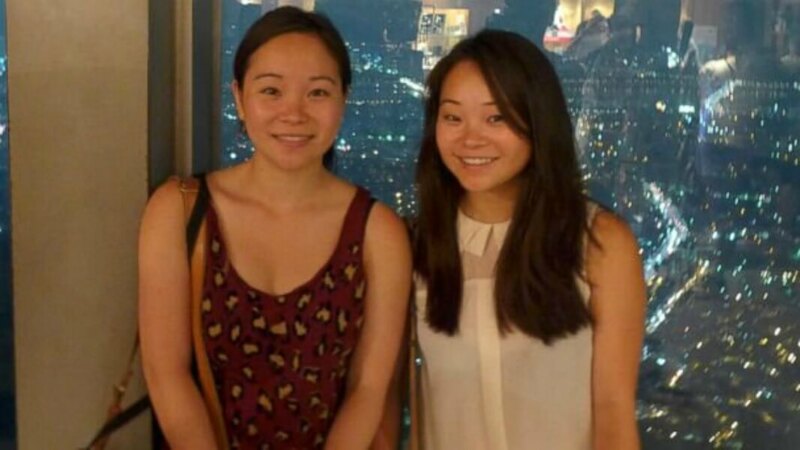 her mother told her that she was a twin and that her twin was adopted when she was 15, but she didn’t try to find anything more about her sibling while her mother was alive. Alice died in 1980, and Elizabeth discovered that all records and adoption papers had been lost. She had seen the papers at one point, so it’s unclear what happened to them when Alice died. Ann grew up with her adoptive parents, Hector and Gladys Wilson. Her mother had originally intended to give both babies up for adoption, because she was unmarried, was a domestic servant, and there was a huge stigma for the child and the mother in an unwed situation. Also, there was always a very real chance that the employer would not accept the pariah status of having such a woman in their employ. As it was, Elizabeth did not live with her mother until she was 3 or 4. At that time, her mother moved to Berkhamsted and began working for Captain Hallam. She paid a woman to care for her daughter and visited her on her half-day off. Alice arrived unexpectedly one day to see Elizabeth and found her dressed in rags (even though Alice had made her dresses). She took Elizabeth to live with her at Hallam’s estate in the servant’s quarters through World War II. Now that so much time has passed, and Alice is long gone, there were lots of questions that her daughters would have no doubt liked to have asked. Some stories are only approached after the main parties are gone, though. After Alice passed away in 1980, she heard conflicting reports about her father. On the one hand, her cousins told her that her father had discovered that Alice was pregnant and had completely rejected her. But, there was also a story that he wanted the twins, but that the message didn’t get to Alice until it was too late. Whatever the true story, it could just as well be both. So many years have already passed, and the past is just that. The sisters took very different paths in life. 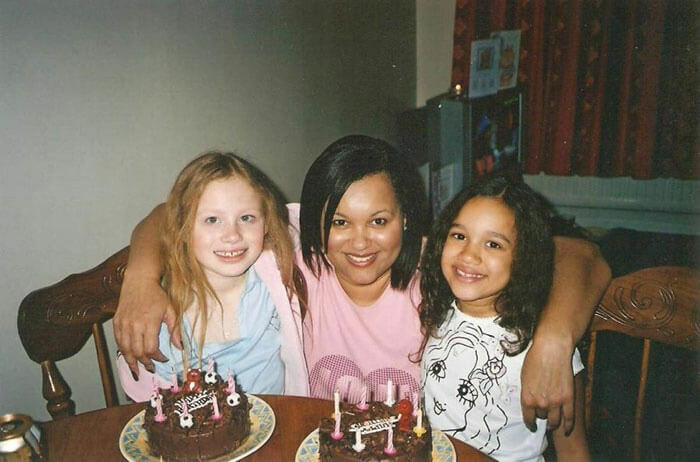 Elizabeth moved to London with her mother and found out that she was a twin when she was 15, around the same time that her mother married George Burton. She later moved to Chester, joined the Women’s Royal Enlisted Navy, stationed at Portsmouth, England, and then at Malta, Italy. She also married an American Navy sailor. The couple settled in Portland, Oregon, and raised two boys there. Ann discovered that she had a twin when she was 14. Her aunt told her that she was adopted, so she went home and asked her parents about it. Her mother, Gladys, told her that her mother was unable to keep her, so had allowed the Wilsons to adopt her. After learning that she was adopted, she never seemed interested in researching further. 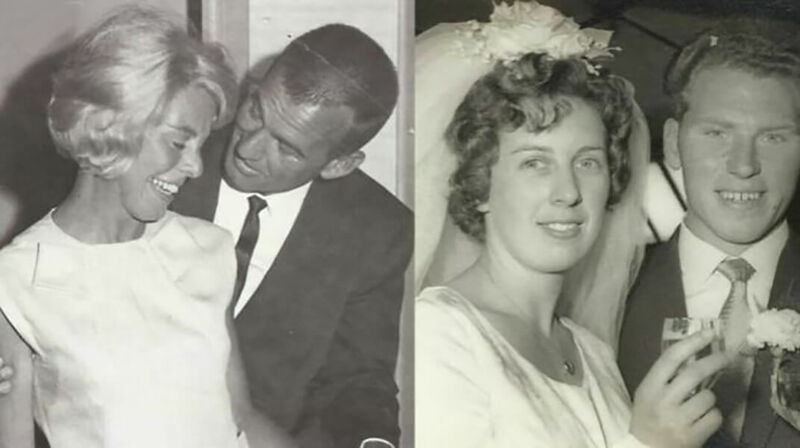 Both Ann and Elizabeth married men named “Jim,” though the two women ended up on different continents. 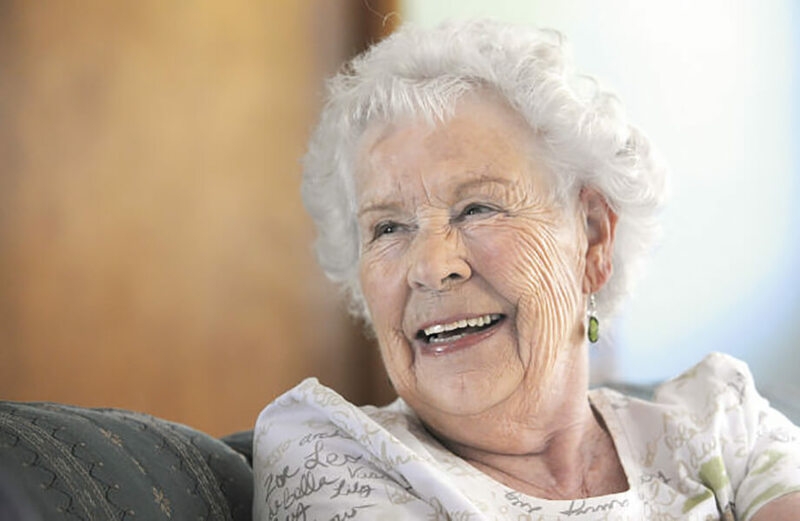 Ann lived in her home town of Aldershot, England for the rest of her life. She became a printer and raised 3 beautiful daughters. As you know, Elizabeth married an American Navy sailor and moved to Portland, Oregon, where she raised two sons. She also eventually moved to Albany. What becomes obvious is how amazing it was that Ann never moved from Aldershot. As Elizabeth continued to say in all the interviews, “She could be anywhere in the world.” It just happened that they were able to find each other back near where they both started. 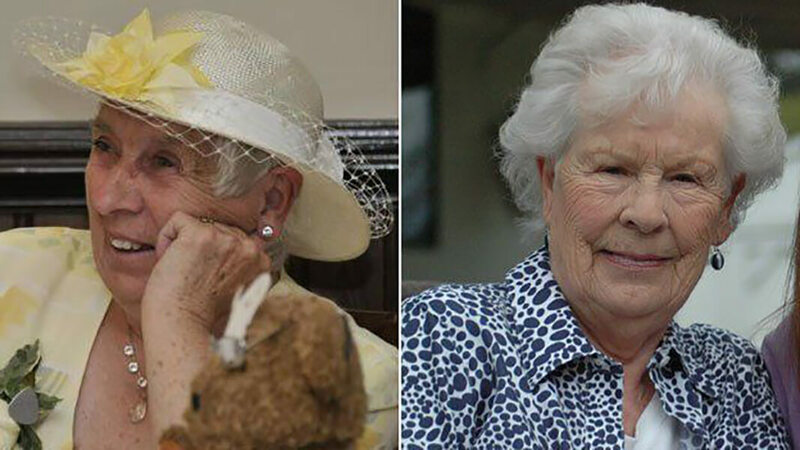 When Samantha told her mum the news and gave her the full details, Ann immediately wrote to Elizabeth, saying: “I am writing to you as I am searching for a family connection…” When Elizabeth opened the letter from Aldershot, it didn’t take more than a few minutes for her to be on the phone with her sister in England. 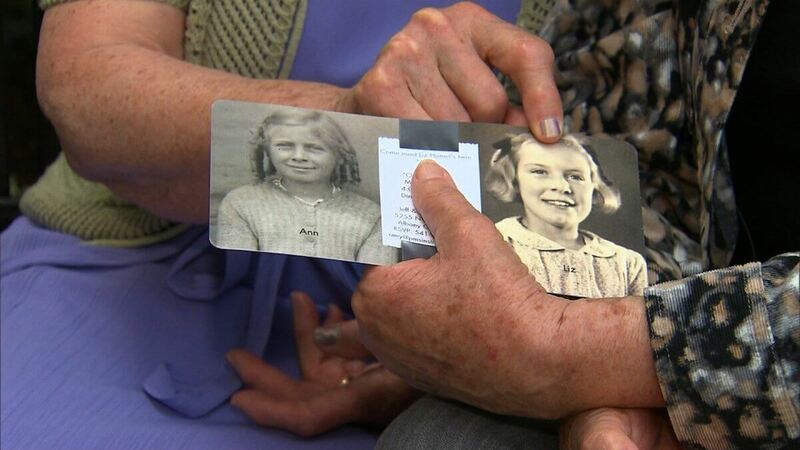 Separated by the worst of circumstances for a young woman in 1936, the sisters were finally reunited through the efforts of family and also a whole lot of good luck. (I’m not sure how else you’d describe finding your sibling after all those years, with the records lost and destroyed, with the sisters located on different continents, and a bunch of moves in between — any of which might have derailed the wonderful reunion. 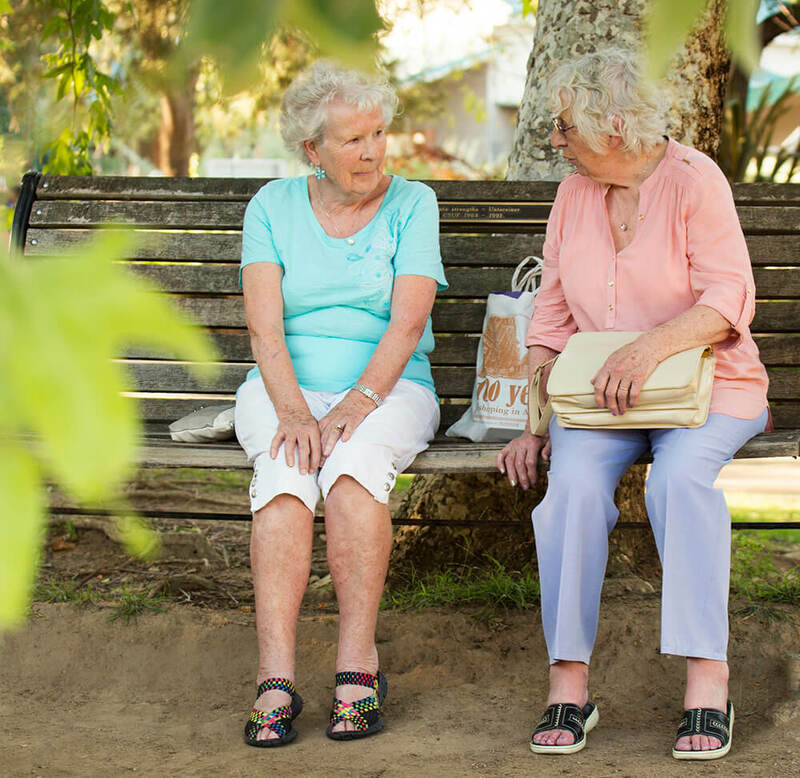 Unless you’ve lost someone and thought never to retrieve that part of yourself, it’s difficult to say if you’d understand what it must have been like when Ann and Elizabeth finally met in 2014. They’d been raised apart, led different lives, and had only been brought together by the efforts of Samantha. The two called and talked via Skype, but that’s not the same as a hug, and seeing one another face-to-face. How Did Dr. Nancy Segal Fit In? 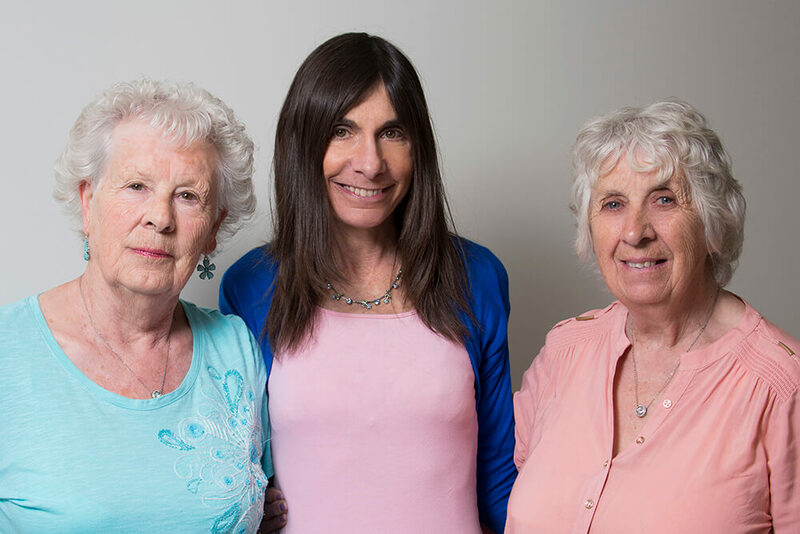 Although the sisters had already found each other with a little help from Samantha, they may not have met each other if it hadn’t been for Dr. Nancy Segal, from Cal State Fullerton. She arranged and financed the meeting, and also put the twins through her series of studies and tests, which is really why they’d been brought together in the first place. It was a unique opportunity — to touch one another “in the flesh” and to experience for the first time what it was like to have a sibling after feeling like each was alone for so long. 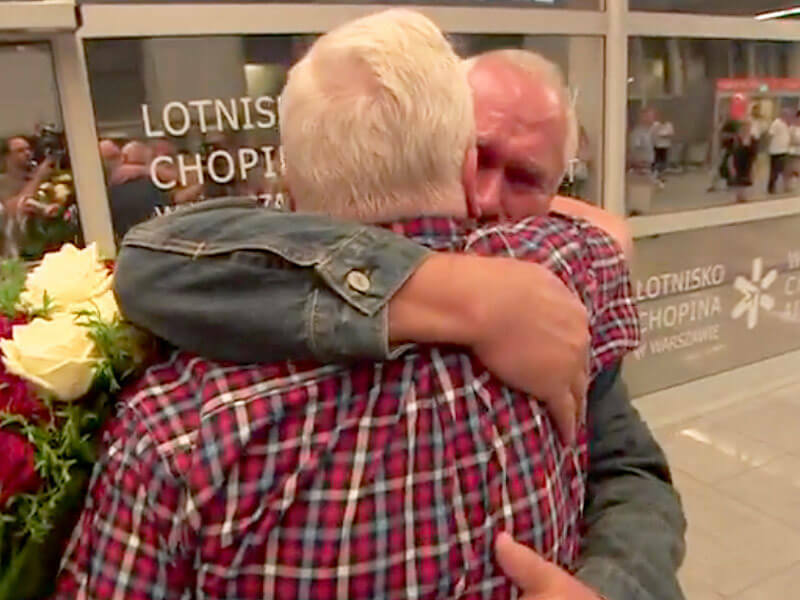 It was also a new chance for research to test theories and study all the amazing realities of a set of fraternal twins who’d been separated for so long and had even been brought across continents to reunite. The Twin Center studies how genes and environment affect development, so can you think of a better set of test subjects? That brief encounter offered up a wealth of data and insight that will likely inspire and inform further study by Dr. Segal and others in the field. Perhaps one of the most tragic parts of the story is the fact that Elizabeth passed away in November 2014, not so very long after meeting and hugging her sister for the first, and what would be last time. Elizabeth was survived by her two sons and their wives, Quinton and Danita Hamel, and Jeff and Amy Hamel. She had seven grandchildren. She is also, of course survived by her twin sister, Ann Patricia Hunt, of Aldershot, England. 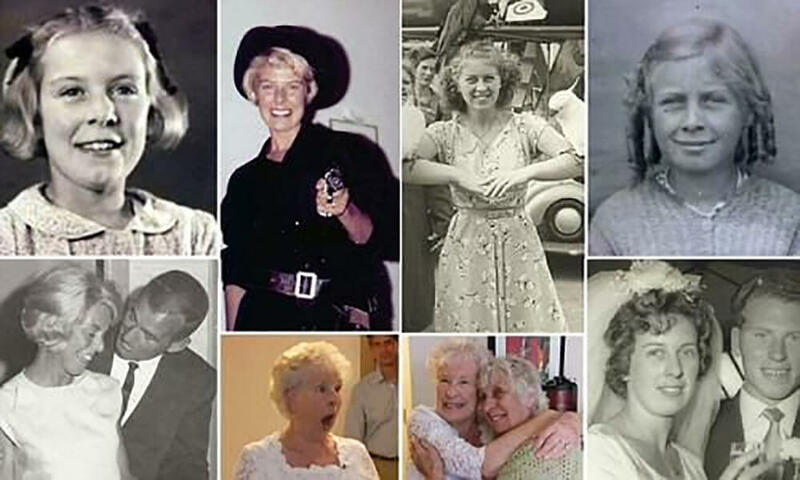 Just look at her smile, and you can tell that she lived a good life, was surrounded by lots of people who loved her, and really was able to fulfill that one thing that might have still left a hole (or question mark) in her life. She’d found her twin. 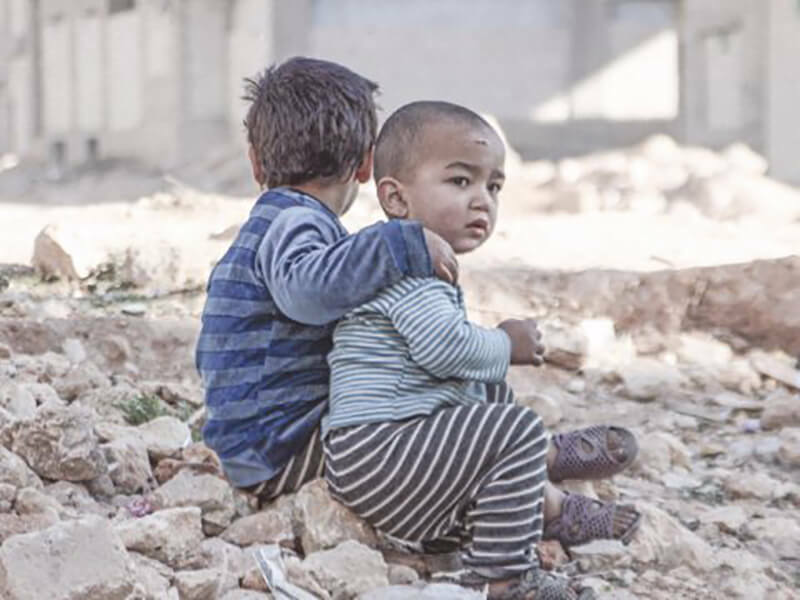 While it may be nice to think that these incidents of twins being separated at birth were rare and far between, it happens more frequently than you probably imagined, particularly where poor and war-torn parents are concerned. They just want what’s best for their children, so sometimes parents don’t have a choice but to give their children up for adoption. Other times, of course, it’s more a case of a well-meaning aid organization who takes steps that ultimately cannot be undone. Such is the case with the mother of George Skrzynecky and Lucian Poznanski. While her rescuers seemed to have her best interests at heart, she survived the German forced-labor camp and the horrors of war only to find that her baby twin boys had been adopted out to other families. They would not meet again for 68 years. The mother of George Skrzynecky and Lucian Poznanski was a Polish woman named Elizabeth, who’d been rescued from a German forced-labor camp by the Allied forces near the end of World War II. 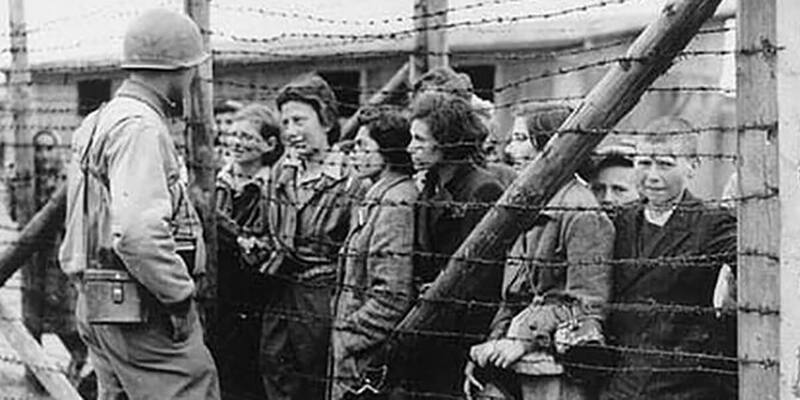 While it might sound a lot better to have been interned in one of these camps, the conditions were often still atrocious, without proper nutrition, health care or other necessities. So, for Elizabeth, it’s probably not a big surprise that her health deteriorated when she became pregnant by an American soldier. 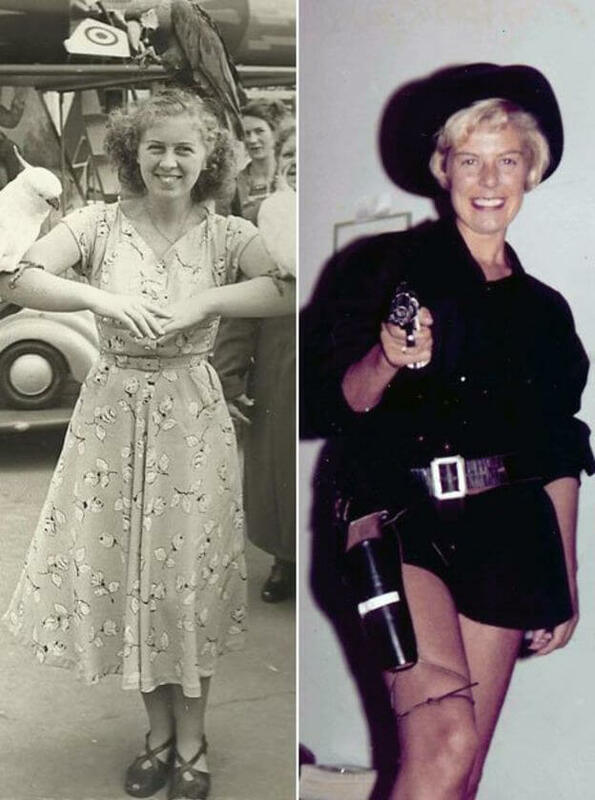 She gave birth to her twin boys in 1946. 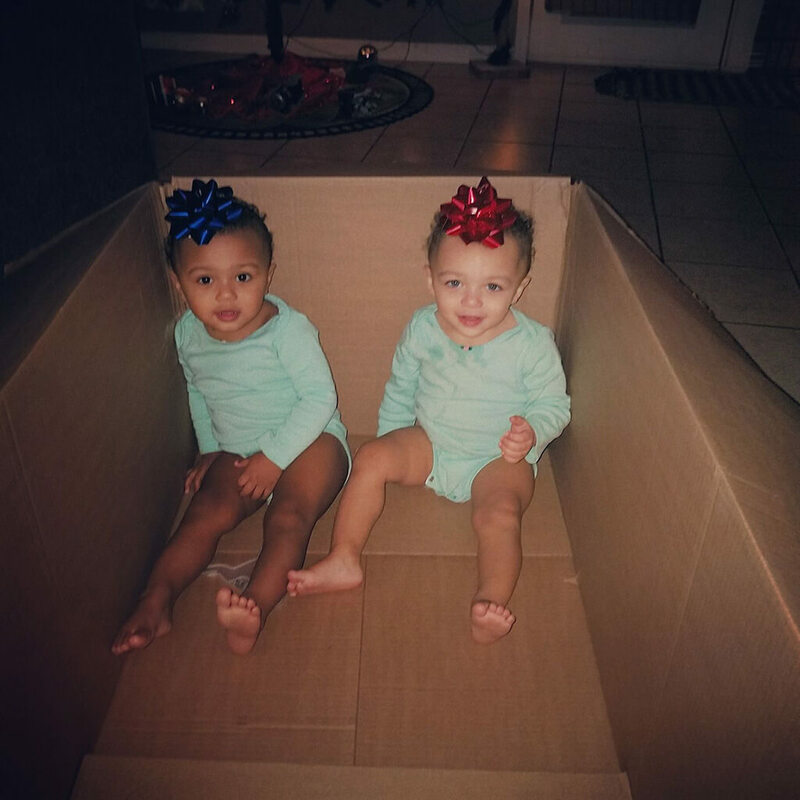 While she recovered, the twins were taken to Poland and given up for adoption to separate homes. Although she searched for her babies when she was finally able to, it was too late by that time. Records had been sealed. There was nowhere left to turn. And, it’s likely that there were lots of families seeking their lost family members in the days after World War II was over. George Skrzynecky did find out that he had a twin and that he was adopted, when he was drafted into the Army when he was 17. He said he was “devastated” to find out that his mother wasn’t his biological mother, and that they’d never told him that he was a twin. He later reached out the Red Cross during the 1960’s for help in locating his twin brother, but without success. Then he moved to the U.S., but says that he never lost hope. 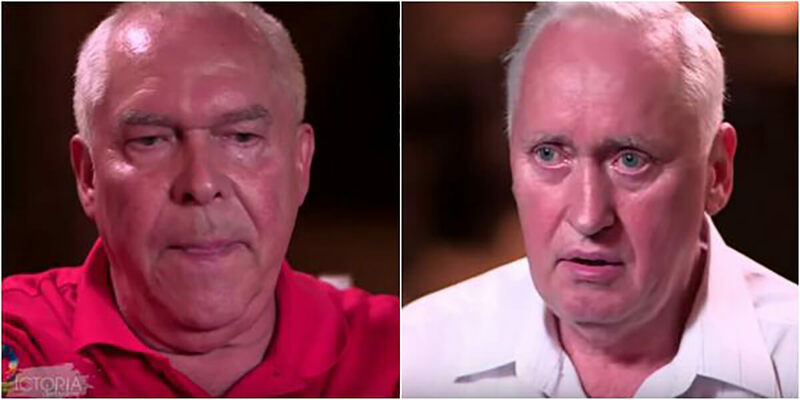 George Skrzynecky and Lucian Poznanski finally successfully found each other in 2014, after another search by the Red Cross Restoring Family Links Program. Lucian had received details about their biological mother, and also learned that he was a twin. He turned over the new information to the Red Cross. Lucian discovered that their mother had searched for him and that she’d been told that the boys had been given up for adoption and that she couldn’t have them back. 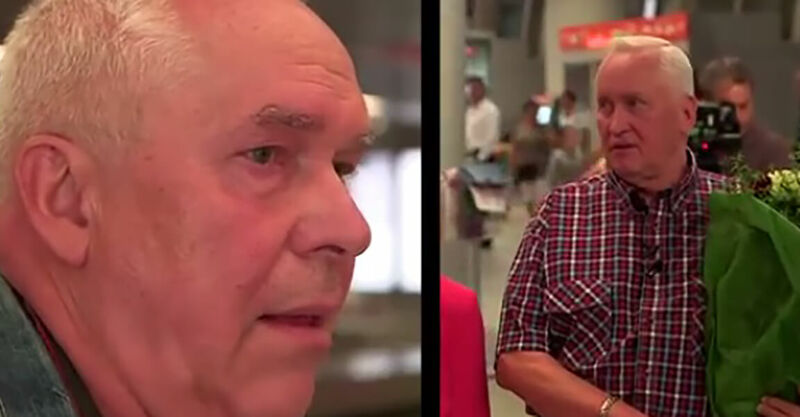 The documents stated: “By error, the children were repatriated to Poland without their mother being notified.” For the Red Cross, it was just the right information, at the right time, and they were able to sync the information for the two brothers. Skrzynecky further says, “Wars are terrible things. There are wars around the world right now, people are dying, people are being misplaced – it’s really very sad.” And, he knows from personal experience some of the worst tragedies that could possibly happen. While it’s heartening to see that the Red Cross can help families locate one another, there’s that secret wish that such episodes of reunification were not necessary, that families were not torn apart at all. It’s much the same as what you hear from many of the twins that have been reunited after spending so long apart. They seem to have a healthy sense that they’ve lost something, but that they still have time to reunite, to learn and grow, and even to laugh and cry together. They don’t ask for do-overs. They don’t vocally proclaim blame for what is and was. They just move forward and accept what they can make of the days still ahead. That hopeful, even belligerent optimism, is something we can all learn from.